The South Georgia agricultural damage from Hurricane Michael was a top topic. The Sunbelt Agricultural Expo opened its doors Tuesday, with agricultural experts, farmers, state and local leaders, and University of Georgia President Jere W. Morehead in attendance. Much of the talk during the expo and Morehead’s visit focused on the devastation wrought by Hurricane Michael, which leveled buildings and destroyed untold acres of crops—including peanuts, pecans and vegetables—across much of Georgia’s most fertile farmland. Morehead spoke at length with attendees about the effects of the storm and what could be done to ease the burden on the state’s farmers, some of whom have lost everything. Early estimates place agriculture and timber losses in excess of $1 billion, and that number could increase significantly as more information becomes available. Extension agents from UGA are working with individual farmers across the state to assess crop and equipment damage, and Extension facilities are being used as staging grounds for utility companies working to restore power. UGA also is extending the early admissions application deadline to Oct. 22 for high school students in areas hit hardest by the storm, including Southwest Georgia and parts of the Florida Panhandle. 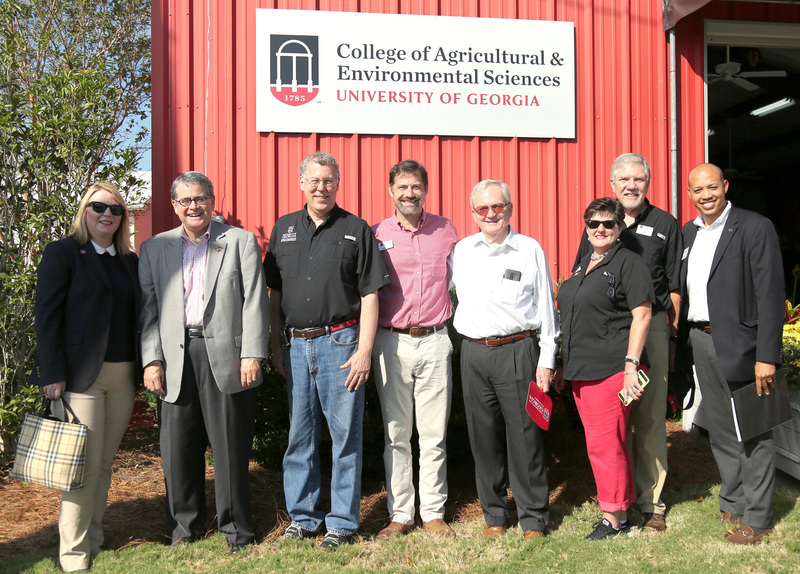 Representatives from UGA’s College of Agricultural and Environmental Sciences participate in the Expo every year, but this year many Extension officials remained in their counties helping Georgia residents recover. Despite smaller numbers than usual, in the UGA building at the expo, some students, faculty and staff greeted visitors who wanted to learn more about the land-grant mission of Georgia’s flagship university. Student ambassadors talked about why they love the college and the world-class education they are receiving. Faculty and staff discussed the college’s research and Extension programs. 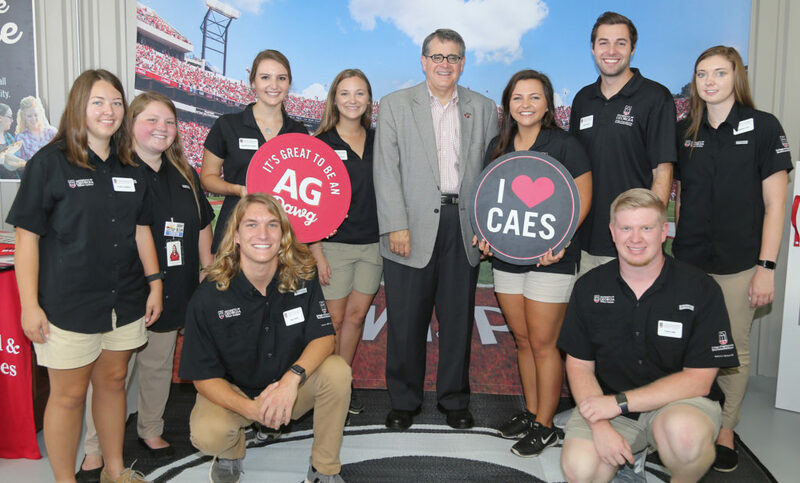 Morehead’s visit included a tour of the CAES building, a meeting with key agricultural leaders in Georgia and a conversation with CAES student ambassadors. Morehead has visited the three-day event every year since becoming the university’s president in 2013. 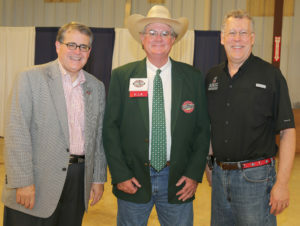 He also was an invited guest at the Swisher Sweets/Sunbelt Expo Southeastern Farmer of the Year Luncheon. This year’s winner was Kevin Yon from South Carolina. More than 1,200 exhibitors are represented at this year’s Expo event, which is held on a 100-acre exhibit area. During the event, Chip Blalock, executive director of the Sunbelt Ag Expo, invited attendees to visit the adjacent 600-acre working farm and see UGA research on cotton, peanuts and forages.